As the eyes of the Russian population were riveted on President Vladimir Putin for his annual call-in show Thursday, Moscow police raided the offices of the pro-democracy group Open Russia, founded by virulent Kremlin critic and former tycoon Mikhail Khodorkovsky. “They [police] wanted protest materials — banners, leaflets for the [opposition] rally on April 19, which a) we had no intention of taking part in, and b) has been canceled,” Khodorkovsky's press secretary, Olga Pispanen, wrote on her Facebook page Thursday. Opposition leaders had requested municipal authorities’ permission to stage a protest in downtown Moscow this Sunday. City Hall rejected their proposed itinerary, offering them an alternative site in a northwestern suburb. The opposition declined the city's proposal and said several people would hold separate one-person pickets — which don't need official approval — in central Moscow before proceeding to the bridge near the Kremlin where Putin critic Boris Nemtsov was shot dead in February. Municipal authorities have warned that any attempts to hold an unsanctioned protest will be broken up. Pispanen — who said that seven senior detectives accompanied by masked special forces officers had conducted the search — told the Interfax news agency that the only protest-related materials at the organization's offices had been prepared for an anti-government demonstration planned for March 1 that was replaced by a silent vigil in honor of Nemtsov, who was slain two days earlier. Open Russia's stated aim is to unite discordant political forces and return Russia to a pro-European development path. A copy of an Interior Ministry document posted on Open Russia's website said that the raid had been prompted by the organization’s suspected possession of protest-related materials containing “calls for extremist actions.” Under Russian law, individuals found guilty of disseminating materials publicly calling for extremist activities face up to four years behind bars. The document also authorized police to seize the office's electronics, documents and other materials during the course of the search. A photograph posted on Open Russia's website Tuesday afternoon showed empty desks. The caption said the computers had been taken away. Pispanen claimed that police had seized the staff's mobile phones and warned them not to write or speak about the search, Interfax reported. The entrance to Open Russia's office was barricaded by police, journalists at the scene reported. Police also initially denied entry to lawyer Sergei Badamshin, who arrived to monitor the proceedings. 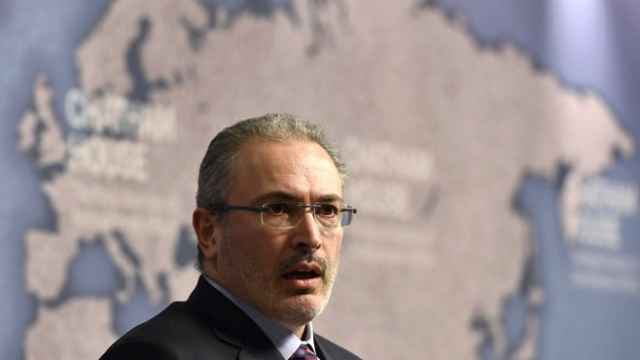 Khodorkovsky, a former oil tycoon jailed for a decade on fraud charges widely viewed as politically motivated, launched Open Russia in 2001. 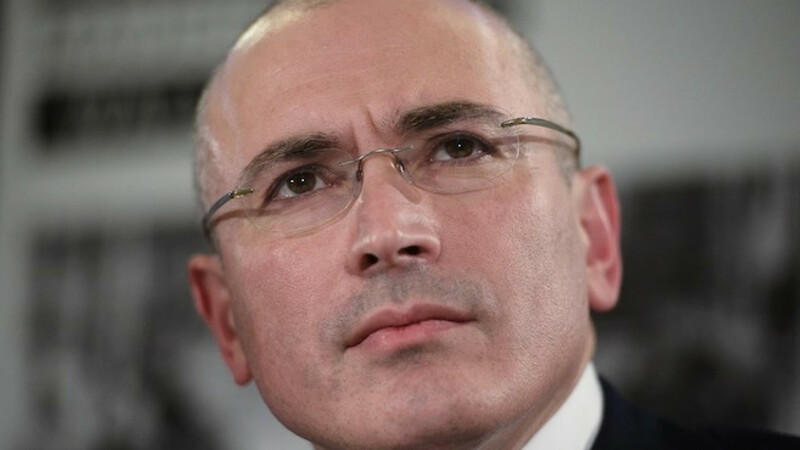 The organization was closed between 2006 and 2014, until Khodorkovsky relaunched the initiative after his release from prison in late 2013.